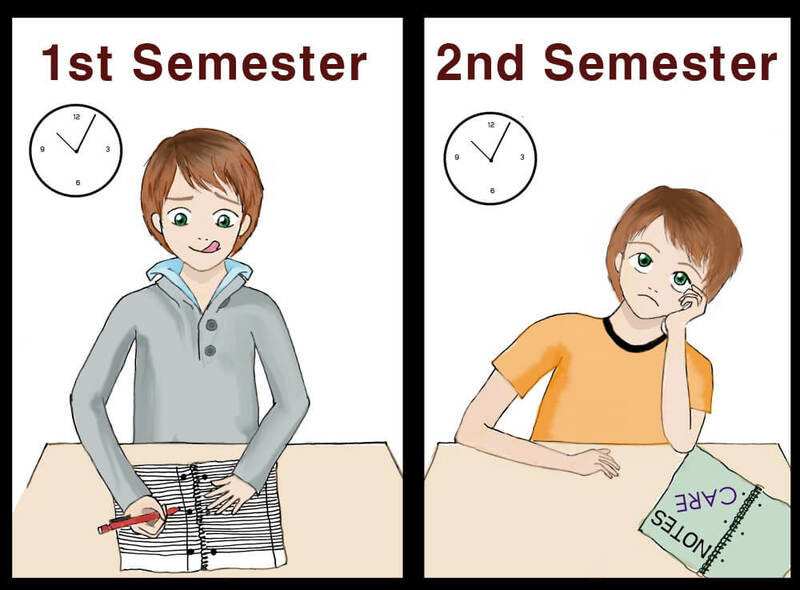 By your senior year in college, you think know the ropes. You know which classes are easy A’s, the best ways to get around campus and the coolest bars to crowd on any given night. 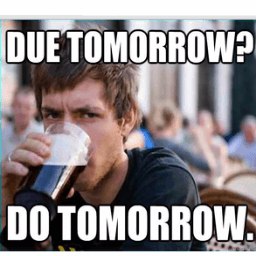 But something not many of us may realize is how procrastination can take over our lives. You know you have an assignment due in less than 12 hours, yet you’d rather play through all your lives in Candy Crush before you get started. These distractions can become a black hole of laziness during senior year. Let’s be honest, you’re probably too lazy to finish reading this article because you’d rather be drinking or sleeping. But for those seniors looking for answers and solutions, this diagnosis may help you prepare to enter the real world. Steven Buzinski, lecturer and director for undergraduate research in psychology at the University of North Carolina at Chapel Hill, defined senioritis as “a senior’s reduced academic achievement motivation, compared to his or her earlier academic career.” This commonly used phrase is a part of our popular culture, so Buzinski said students expect to feel some level of senioritis once they reach that point in their lives. Kerri MacAlpine, a senior marketing major at SUNY Oswego, said she has experienced tidbits of senioritis this year. She said that common indicators of sluggish seniors, “are skipping class, procrastinating, doing assignments last-minute or partying and drinking instead of doing schoolwork.” You know you’ve hit rock bottom when you’d rather do laundry than homework. “By the time you become a senior,” MacAlpine said, “you don’t want to do work anymore.” As you get older, a select few are still doing a lot of work to maximize their college experience, while others are just along for the ride. Buzinski said the best way to overcome these distractions is to discover what your priorities are and stay motivated for the future. “The point is that motivation is not static,” he said. If students value their career endeavors and know they can succeed in them, then they should be highly motivated. 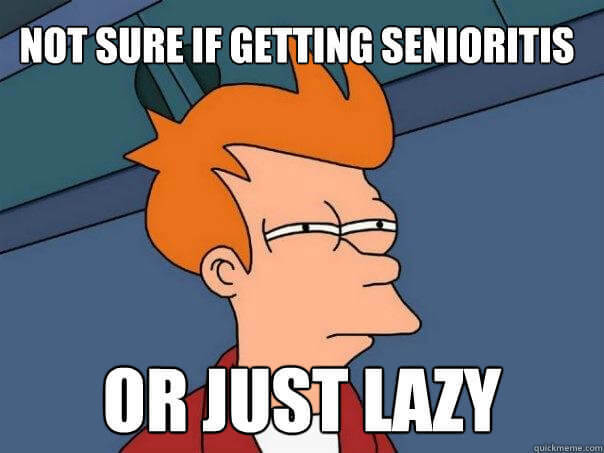 The idea of senioritis comes from the fluctuations in personal circumstances and consequently, students’ incentives. From her own experiences, MacAlpine said, “as a senior, you can get away with a lot more.” She said she knows she can write a 10-page paper the night before it’s due, but questioned whether that’s generally the best idea. She said students should find out where they can cut corners and where they cannot. Freshmen don’t have the prior experience to make such beneficial and bold choices yet. Jeff Orneé, a fifth-year math education senior at California State University, Long Beach, said the best way to avoid senioritis is to pace yourself throughout your academic career and finish strong. “Just realizing that you’re so close to the end of school” should be enough motivation to keep calm and graduate,” he said. With papers to complete, checks to write and caps and gowns to order, Orneé said these distractions should remind you to not give up. “I’ve been a senior twice now, (in high school and in college), and I’ve never had senioritis,” he said. You don’t want to be the person that looks back at their college life with regrets based on laziness and procrastination, especially if you didn’t get the job you wanted and could have attained. Unfortunately, there are no shortcuts in the real world.